Updated as of 9th September 2015, you can download this page in pdf here. Calling all athletes who are interested to compete in overseas competitions that SA is invited to. Please submit your interest to SA (SAA) once the overseas meet information is published and window is open. Based on the quota given by the organiser (on a meet by meet basis), SA will send any Singaporean athlete who meets the Senior, Junior and Youth qualifying mark. Based on 3 previous SEA Games averages. 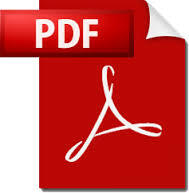 Click here to download the OPEN qualifying mark in PDF format. Click here to download the JUNIOR qualifying mark in PDF format. Click here to download the YOUTH qualifying mark in PDF format. 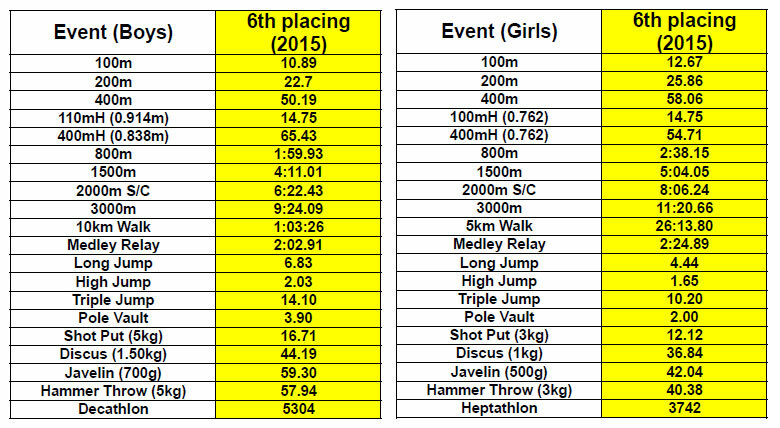 If the quota is not met based on the number of athletes selected and confirmed, any Singaporean Athlete who is 5% or less from the Senior qualifying mark, will also be nominated. All such athletes will be ranked and the cut off will be the quota number invited. If the quota has been reached and if athletes are still keen to compete, SA will pay 50% of the flight tickets while the athlete pays the other 50%. If the competition results meet or better the Senior qualifying mark, SA will reimburse the amount paid by the athlete. For other athletes who are 6-10% off the Senior qualifying mark and are keen to compete, SA will, on a case by case basis endorse the athlete to be part of the team but the athlete will have to bear the full costs of the air ticket and room and board stipulated by the organiser. Upon achieving the qualifying mark, SA will reimburse the full amount to the athlete. Please take note that if the overseas meet does not have the youth and junior implements (eg. 5kg shot put, 1.5kg discus), the athlete will not be eligible for the meet. 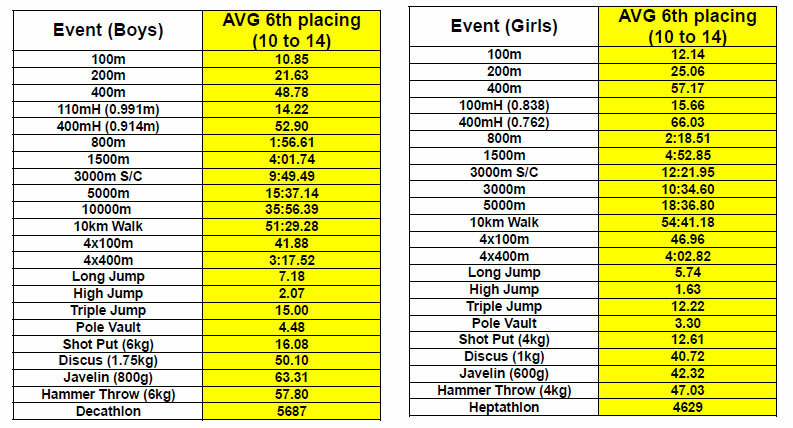 When only 2 Athletes per country are allowed to be entered per event and if more than 2 athletes meet the qualifying marks, the top 2 ranked athletes within the qualifying window period will be nominated. All SA sanctioned competition results will be considered for nomination. SA reserves the right to drop any qualified Athlete if the Athlete is deemed unfit to perform at a competitive level.